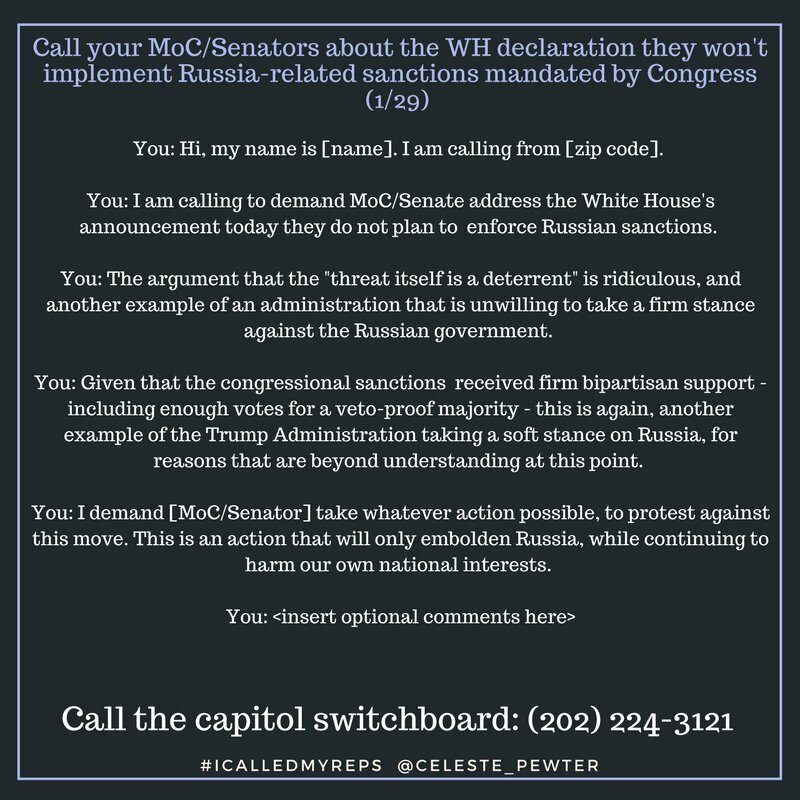 Update, July 18, 2018: In the wake of Helsinki, activists such as Celeste Pewter (@Celeste_pewter) are encouraging citizens to ask their representatives for stronger, bipartisan sanctions against Russia. Yesterday we published a post about calling your MoCs (members of Congress) to demand action in the wake of Trump’s astonishingly bad performance at the July 16, 2018 Helsinki meeting with Vladimir Putin. This is the entry for July 18, 2018.